Are you prepared for a zombie incursion? When the walking dead come, they'll come quickly; they'll want brains. Yours. What do you do? Well, you'll almost certainly be killed instantly. That is, if you're not ready for them. So, the first thing to do is read this: How To Survive a Zombie Attack. Next, you can't go wrong staying hydrated. It'll keep you on your toes. Since alcohol will dull your senses, you'd better stick to water and juice. Here's a perfect, and fitting, little drink that you can enjoy (on the run, in hiding, wherever). It's a little fruit punchy, and a lot yummy. 1. Put the sugar and 2 tbsp of water in a small bowl. Microwave for 15 seconds, stir until the sugar is dissolved. 2. 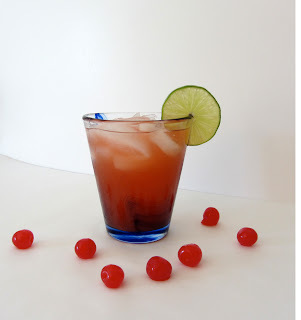 Blend the sugar mixture together with the pineapple juice, cherry juice, grenadine, lime juice, and rum extract. Stir until blended. Stir in the water. 3. Serve over ice. 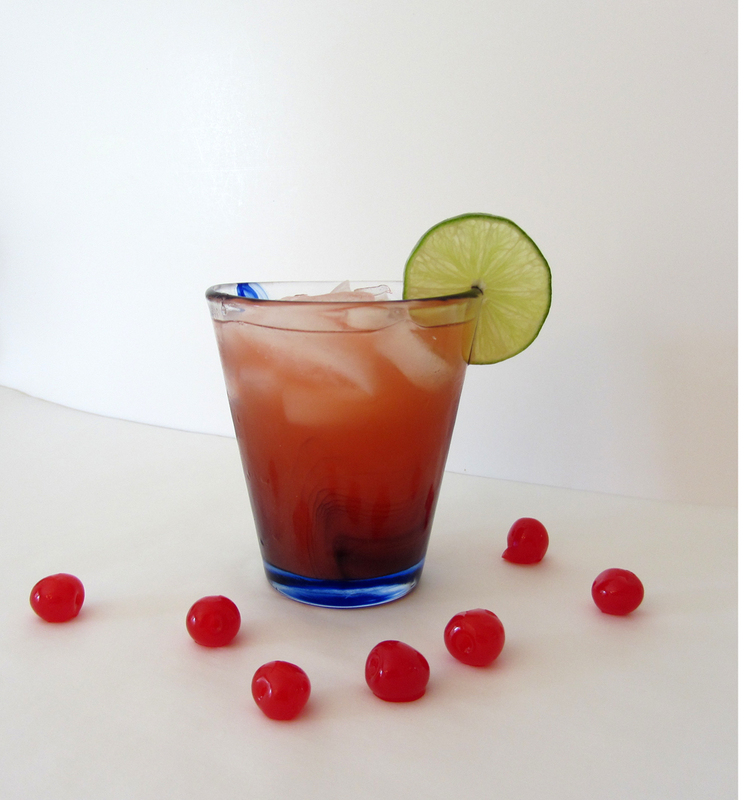 Garnish with lime and maraschino cherries.